Trucks on Interstate 4 zoom overhead as expedition members prepare to cross the Wildlife Corridor via Reedy Creek. 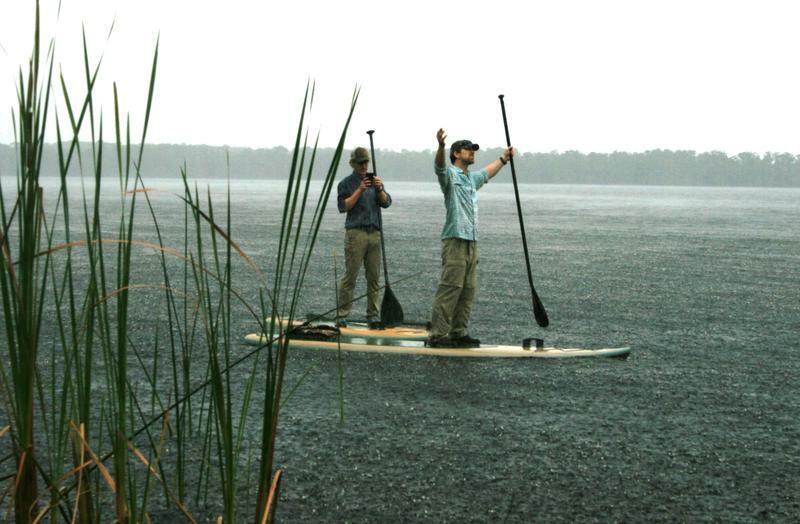 Joe Guthrie and Carlton Ward Jr. at the beginning of the trip on Lake Russell, at the Disney Wilderness Preserve. The Florida Wildlife Corridor team is joined by biologist Jen Korn, who set up a camera trap under Interstate 4 to track wildlife. Animal footprints were discovered by people traveling the Florida Wildlife Corridor under Interstate 4. The Florida Wildlife Corridor team paddled on Reedy Creek, north of Interstate 4. The team is joined at the Hilochee Wildlife Management Area by Rep. Matt Caldwell, R-North Fort Myers. The finale party was held at the Little Everglades Ranch in Dade City. From left, Joe Guthrie, Mallory Lykes Dimmitt, Corridor Executive Director Lindsay Cross, and Carlton Ward Jr.
Expedition member and wildlife photographer Carlton Ward Jr. described the trip as a conflict between two Floridas that are colliding. One is the main transportation corridor between Tampa and Orlando and the other a crossroads for wildlife. Trucks on Interstate 4 roar over Reedy Creek, part of the narrow wildlife corridor in Central Florida. South of I-4 in Osceola County, the narrow corridor along Reedy Creek was so overgrown expedition members said it made hiking difficult. But once they passed under the Interstate on Thursday, they said they found some surprises. "We had our most intimate wildlife experiences with Florida native wildlife like limpkins and cottonmouth (snakes) and we were like less than half a mile from Disney's Animal Kingdom," Ward said at the end of the trek Saturday at Little Everglades Ranch, near Dade City. Ward said he, expedition leader Mallory Lykes Dimmitt and bear biologist Joe Guthrie are trying to bring attention to the need to protect the wild corridors that connect preserved spaces before they're gobbled up by development. "To be out there with teammates like Joe and Mallory, who share this passion for these places, (they) can help share these stories and help other people fall in love with these places the way we have,” Ward said. “I feel very optimistic that we can bring the rest of the state into this story with us, and lead to the action that's going to be required to save them." Ward said it's now up to state lawmakers to come up with the money through the Florida Forever conservation land program to help keep these lands wild. The expedition team also wants to persuade traffic planners to build wildlife underpasses beneath I-4, which has been done for several other major highways, including Alligator Alley and the new Wekiva Parkway near Orlando. 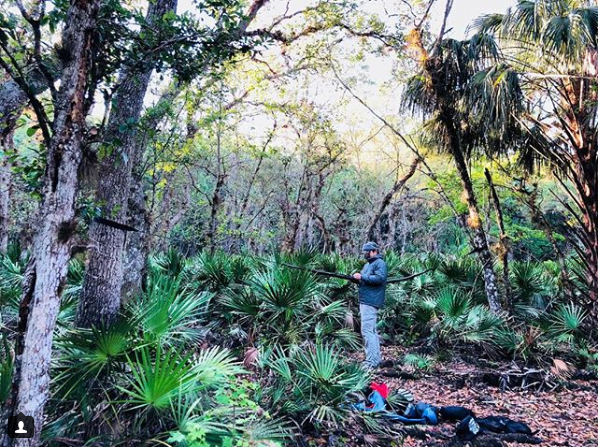 This latest Florida Wildlife Corridor Expedition was the group's third trek together. 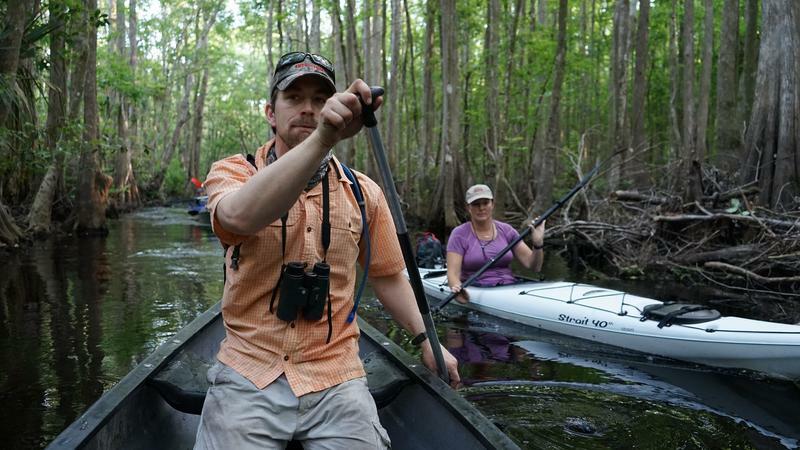 The first expedition in 2012 went 1,000 miles from Flamingo and the tip of the Everglades north to the Okefenokee Swamp in Georgia. The second trip - in 2015 - started out near this current trek, in Osceola County, and traveled northwest across the Florida Panhandle to Pensacola and the Alabama state line.